No one is safe from death. Death has been an obvious theme in every Dark Souls game, but Dark Souls III is the cruel reality that there will be no tomorrow. If previous games preach the inevitable demise of life, then this third installment in the trilogy is the eleventh hour of it all. 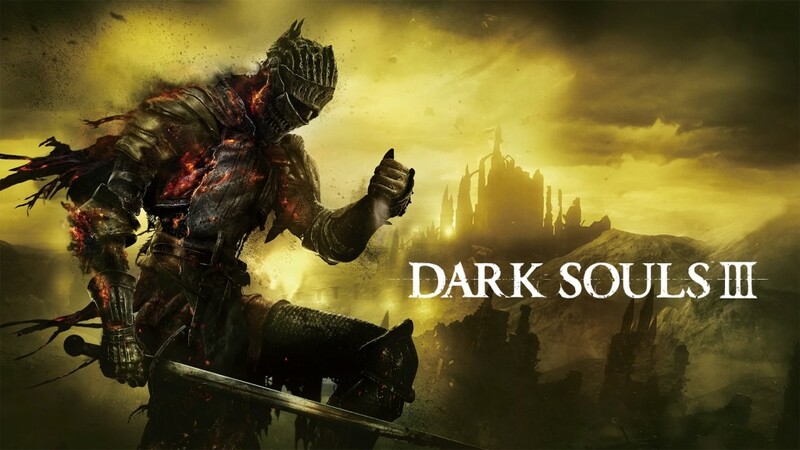 Dark Souls III is the coalescence of every game FromSoftware has made in the series, including Bloodborne and Demons’ Souls. Around every corner there is something that resembles a previous iteration. At first it comes across as simple fan service, but eventually evolves into a thematic celebration of the ‘Souls‘ series. Although much of the gameplay is familiar, there are two major additions to gameplay: the ‘Focus Point’ bar and Weapon Skills. 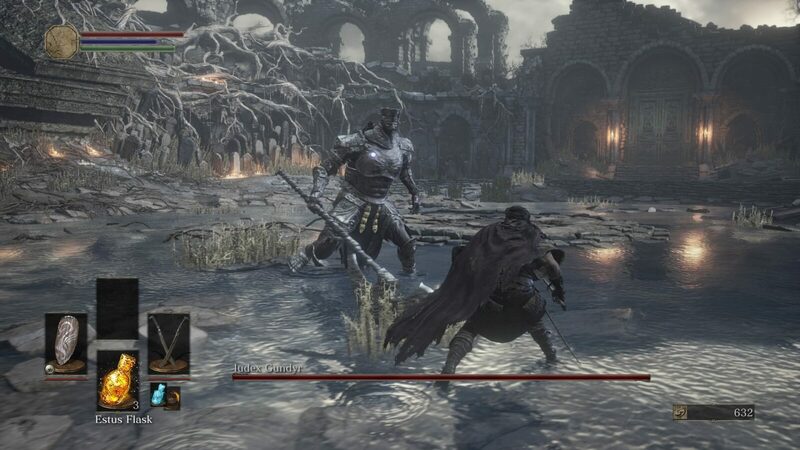 While the FP bar is nothing new to the ‘Souls” series, (having been featured in the spiritual predecessor, Demons’ Souls) it is new to Dark Souls. I vastly prefer utilizing the FP bar as opposed to the old method of carrying a set number of charges per spell, especially now there is a special Estus Flask dedicated to refilling FP called the ‘Ashen Estus Flask’. Managing a magic bar adds a little more flexibility for spell users and improves the importance of the Attunement stat because in now raises your total FP. Unfortunately, magic character builds still aren’t as solid as they could be for reasons that will be explain later. Weapon Skills also tie into the FP meter. A Weapon Skill is a special ability attached to each weapon in the game, including shields. Generally, sorcery staffs can temporarily buff spells, swords can break an enemy shield guard or activate a spin slash attack, and shields can parry, bash, or more freely use primary weapon skills. More unique weapons offer exclusive Skills with devastating power. These skills offer a decent variety to weapons and make certain builds, such as Archers, more viable and interesting. The best thing about Weapon Skills is that they don’t reduce weapon durability like special attacks did in previous games. In addition to tighter character movement, which is a medium between Dark Souls 2 and Bloodborne, the FP bar and Weapon Skills are a great addition to gameplay. I had some high hopes for magic builds this time around, due to new spells and the inclusion of the FP bar, but it left me disappointed instead. One of the biggest problems was the limited lock-on range hindering firing distance. The ability to aim spells is essential in the heat of battle, so being unable to reliably keep separation when firing spells was frustrating. To make matters worse, spell casting time is rather slow, even with a ring to increase casting speed, and stamina drains drastically with each cast. So not only is your character at an unsafe distance, but also at a high risk for running out of stamina. Using spells in first-person view with the binoculars to gain finer aim is also made worse solely to the fact it has been regulated to an inventory item instead of being equippable in the right or left hand. I got the impressions many of these hindrances were put in place to balance PvP, but it doesn’t translate as well in solo play. The good news is some of these shortcomings can be fixed in future balance updates. Much of the wonder that stems from a Souls game is the level design and exploration of each area. 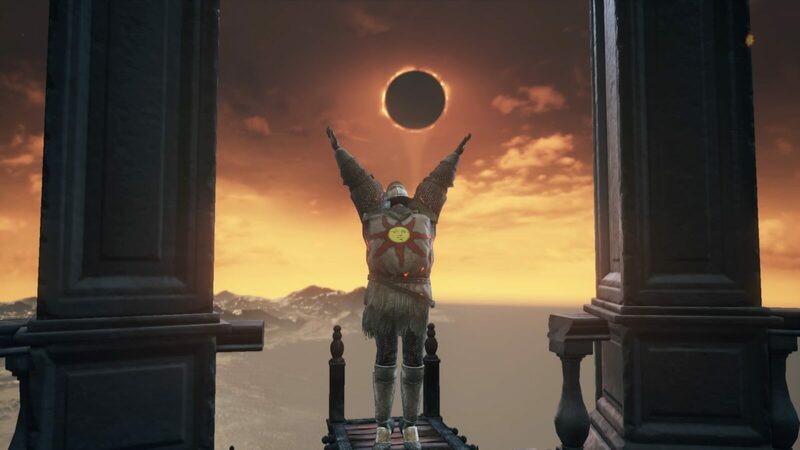 The world of Dark Souls 3 is enormous and dense; I often found myself overwhelmed by which direction to explore, in a good way. Every area has an alternate path around obstacles which contain different perils. While the game world isn’t as tightly knit as Dark Souls 1, it certainly offers satisfying loops and shortcuts lacking in Dark Souls 2. The realization of just how far you progressed is always amazing when a starting area can be seen far off in the distance. Exploring the world will offer some gorgeous views , and I won’t spoil some of them because they will provide some of the most memorable moments in the game (those that have already played the game know what I’m talking about). Areas aren’t just dense with paths to explore, they are also crawling with many enemies. Expect to be surrounded by five to ten enemies regularly. These ever present mobs account for much of the game’s difficulty. Common enemies have expanded movesets and aggressive behavior that make it quite difficult to fight one-on-one, especially shielded enemies who aren’t shy to protect themselves in a 360 degree area, sometimes making backstabs hard to abuse. I found general areas to be harder to fight through than many of the bosses, but that’s not to say the bosses are easy by any means. I’m fully aware that my experience in previous games likely contributed to my perspective in difficulty. Aside for a couple bosses, I didn’t feel that they were impossible to overcome. That being said, the creativity of many of the fights were fantastic and kept each battle interesting . Seriously, there are some really cool boss fights to experience. Perhaps my favorite aspect to a Dark Souls game is the lore and the secrets to uncover, and DS3 does not fall short. I tried to dive into the game a blind as possible, and there were a ton of things I missed in my first playthrough. Had I not read many of the player-made messages left in the game, I would have missed even more. It’s a definite recommendation to replay the game at least once to try to uncover more of the game because you can’t do everything in one try, especially considering there are multiple endings. There are also plenty of NPC interactions which were lacking in other games. My biggest complaint is the lack of story relevant dialogue from the vendor NPCs, making them appear incredibly bland. I have not played much of the games PvP and co-op elements. The times I have played it led to noticeable lag that made fights harder to enjoy. Those looking to play with their friends will be happy to know that matchmaking seems to be the best yet, largely due to the option to set a password, bypassing any level restrictions plaguing past games. Unfortunately there seem to be rampant cheating in the PC version, but hopefully those problems can be rectified in the future. This is the best Dark Souls has looked, and it looks even better on PC. Having played on PS4, it’s common to encounter temporary frame rate drops when transitioning between area. I almost wish there wasn’t a saturation filter dulling the colors, but it’s most likely done for thematic purposes which makes my comment irrelevant. Dark Souls is known to have epic theme songs, but Dark Souls 3 just might top them all. The game wastes no time getting you pumped for the action. Many familiar sound effects can be heard from previous games, including Bloodborne, which can sometimes be distracting if you’re accustomed to hearing a particular enemy from another game. Dark Souls 3 is incredible. It’s a game I did not want to end because it kept getting better deeper into the adventure. It was a relief to discover the game is a direct sequel to the original as opposed to being an almost separate story entirely. 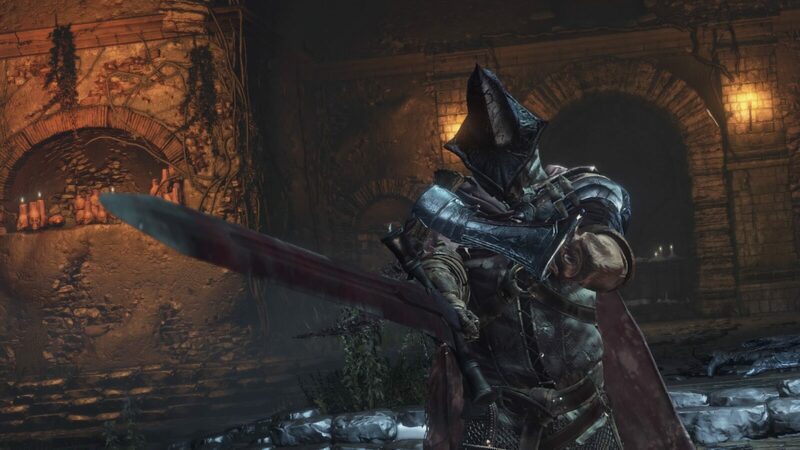 With the many callbacks to previous Souls games, combined with themes of fading light and life, Dark Souls 3 feels like a conclusion to the series. Dark Souls III is a coalescence of every game FromSoftware has made of its kind.